Lots of people entered and the lucky winner was Monica! 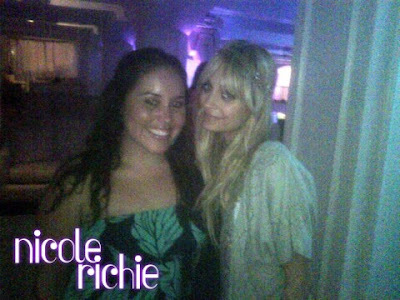 Nicole Richie shared this picture via her website ..
"Just wanted to share this picture of me and Monica, the winner of my Fashion Show tickets. It was such a pleasure meeting her and I wish I could have met all of you. Thank you to everyone who entered!"